The rain tent has windows on all sides so that your kids can see outside and you can keep an eye on them as well. 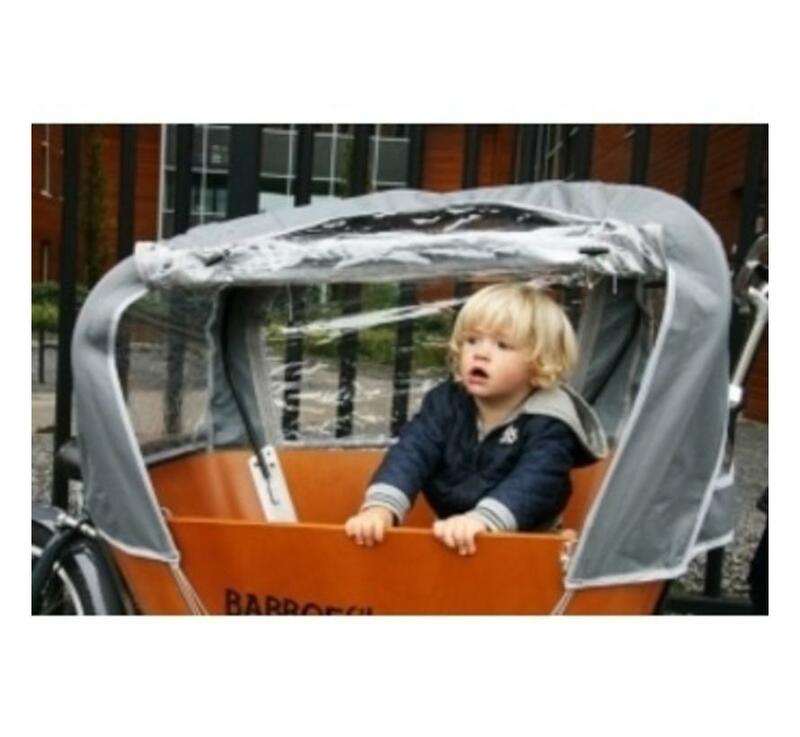 The side windows are easy to unzip and roll up so that your kids can step in or out of the cargo bike on their own. The rain tent comes with a set of poles. To assemble, simply mount the rain tent onto the poles included. For proper installation, please follow the steps in the provided installation instructions. Please note: the zipper cannot be closed completely when using a baby seat in the box. 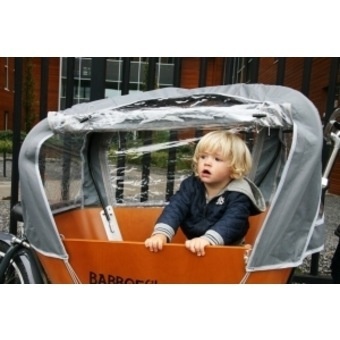 Fits Babboe City cargo bike. 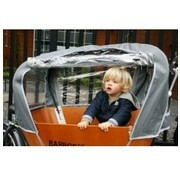 Protects your kids from rain and strong wind. Fits the Babboe City cargo bike.